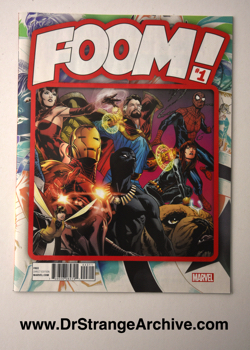 Size: 8 1/8" x 10 1/2"
Description: The is the first issue in the modern edition of Foom magazine. It was given free at comic book shops. Dr. Strange appears on the cover in the standard Marvel Legacy picture. It features articles on the Marvel Legacy event.